Bulls put up a strong fight in the last two trading sessions but could not overrun bears, with the markets ending in the red zone for the fifth consecutive week, owing to rupee volatility and growth concerns. Benchmark indices staged a smart recovery on bargain hunting and comments from Finance Minister P. Chidambaram and Reserve Bank of India Governor D Subbarao that India doesn’t plan to introduce capital controls. The Sensex ended 0.42 per cent lower, while the Nifty fell 0.66 per cent in the week ended August 23. The S&P BSE Mid-Cap index fell 1.48 per cent, underperforming the Sensex. The S&P BSE Small-Cap index declined 0.42 per cent, matching fall of the Sensex. The barometer index, the S&P BSE Sensex, regained 18,000 after sliding below that level during the week. Nifty also managed to close above its crucial level of 5400. In the coming week, the trend in investment by FIIs will be in focus which have sold net of $701.4 million worth of shares in the five sessions as of Thursday. Talking of the overall sentiment, the markets are expected to remain volatile and move in a range until the currency stabilises, say experts. Important events are lined up this week: June quarter GDP data and F&O expiry. “There are too many events which are there this week, and the market will continue to remain reasonably volatile for a long time till the time the currency stabilises,” said BP Singh, Executive Director & CIO-Equities, Pramerica Mutual Fund in an interview with ET Now. “If you look at last four months, the currency has depreciated from 54 to the current levels of around Rs 63-64 odd and if you notice the market which was around 5800 is currently at around 5450; so, every time when the currency stabilises the market actually gets its leg back and gets back its strength,” he added. Technically speaking, the weekly chart now a strong bullish hammer Japanese candlestick pattern. The low of the week i.e. 5254, will now act as a strong support in the short term as well as in the medium term. 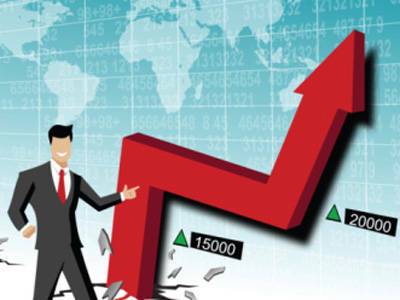 “A price move beyond 5530 before Tuesday afternoon will confirm that a price reversal has occurred and a higher degree upmove towards 5700/5850 levels may begin to unfold,” said Shardul Kulkarni, senior technical analyst at Angel Broking. “Momentum oscillators on the daily and weekly charts are extremely oversold and also signal the possibility of a pullback,” he added. The stock has been falling in a channeled manner. It has taken support near the lower channel line as well as near the daily lower Bollinger Band. Daily momentum indicator has given a fresh buy signal. The stock has entered a pullback mode and is about to start third leg on the upside. Daily momentum indicator is in line with the price structure. The stock has broken out on the upside from a large Ending Diagonal pattern. Thus it is looking bullish from short- to medium-term perspective. The stock recently completed a three-wave correction. The third leg down got over in the last week. Thus, the stock is poised for a short-term bounce till its key weekly moving averages. The stock seems to have formed a short term base in the last couple of weeks. Risk reward ratio is encouraging for bulls to buy the stock from short term perspective. ONGC confirmed a short term bullish reversal pattern with its close on Friday. With increase in upwards momentum and volume it looks set to break out of the upper ceiling of a falling trend channel formed since July. It may climb to test its pivotal resistance level at Rs 293. Long positions with a stop loss at Rs 266 can be considered. After outperforming the broader market lately – Hindalco is now testing strong resistance at Rs 105-106 levels. If taken out, it can open up substantial upsides for the stock. The stock should be bought only on a close above Rs 106 for targets of Rs 112 and Rs 116.5 in short to medium term. Stop loss can be placed at Rs 97. The stock has been consolidating in a contracting sideways range for the last 5 months and now with price and volume momentum gathering we expect a break-out above resistance at Rs 365. Reliance Infra can be bought for target of 280 and 400 in short to medium term. Stop loss can be placed at Rs 335. Bharti Airtel showed renewed weakness on Friday and the bearish weekly candle on increase probabilities of further declines in the short term. It can now weaken towards Rs 285 – 286 levels where there is possible support from a rising trend-line formed joining the bottoms since August 2012. The stock formed a short term bullish reversal pattern on weekly charts accompanied by healthy volumes and a higher opening on Monday can spark some pullback in the prices. It can test its medium term resistance level at Rs 580. Longs can be initiated if Monday’s open is above Rs 546 and a stop loss at Rs 526 can be considered.